Rí Rá comes from "Rí Rá agus Ruaile Buaile", a phrase translating roughly as divilment, good fun or any sociable activity that improves with fine food, a nice pint of Guinness or dram of Uisce Beatha (whiskey). Rí Rá is located in “The Quarter” section of the Tropicana Casino on the south end of the famed Boardwalk. 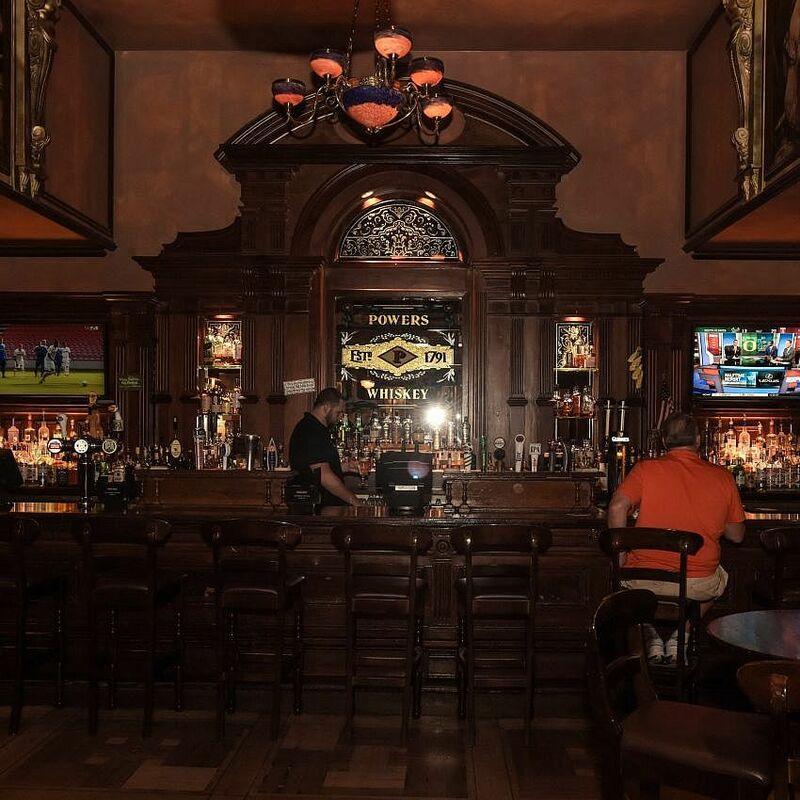 The pub interiors were salvaged and restored in Ireland prior to being shipped to Atlantic City. 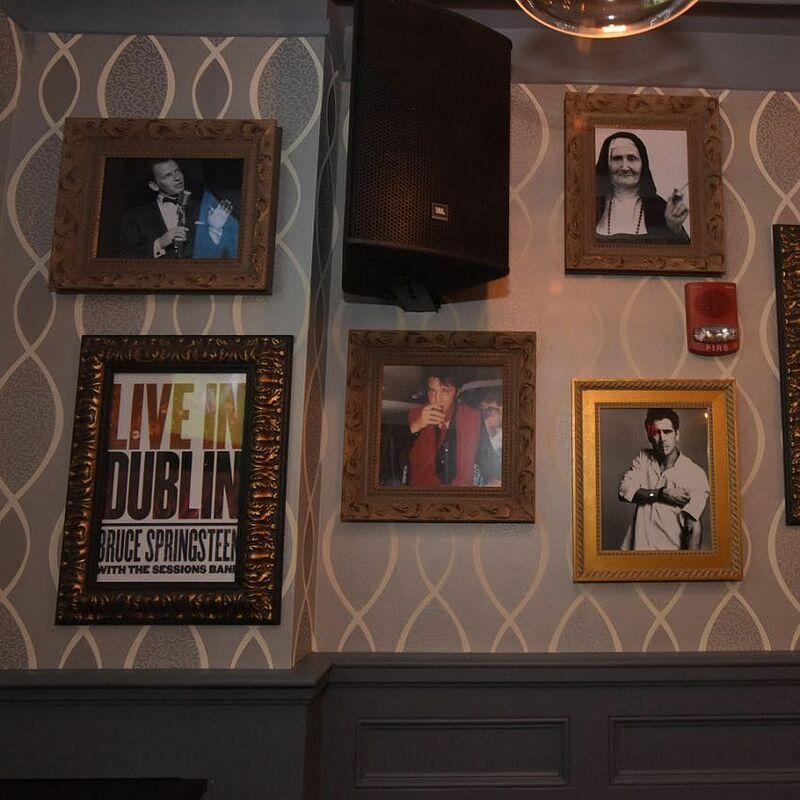 We are proud to showcase a unique and genuine Irish pub that is a hotspot for locals and visitors alike, offering an impressive line-up of live music, a comprehensive drink list and fare that defies pub standards. 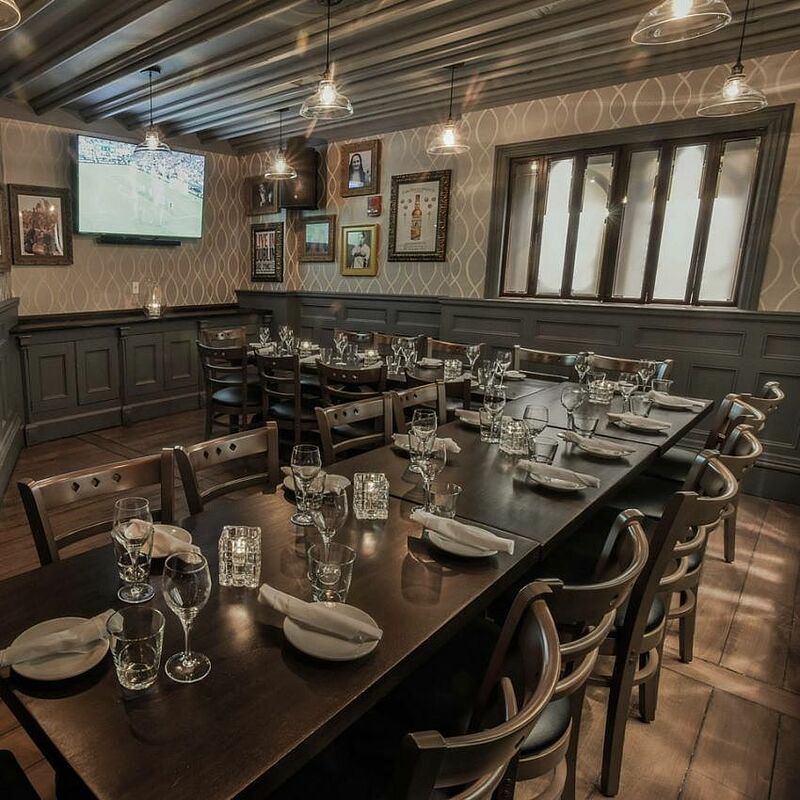 The Parlour Room has a unique style, this room is the perfect place to host a cozy business social, client mixer, celebration, fundraiser, holiday party or small wedding reception. This room can accommodate up to 40 people for a cocktail style reception and for 25 people for a dining style reception. The Parlour Room has its own TV screen, sound system, wireless microphone and iPod connector. 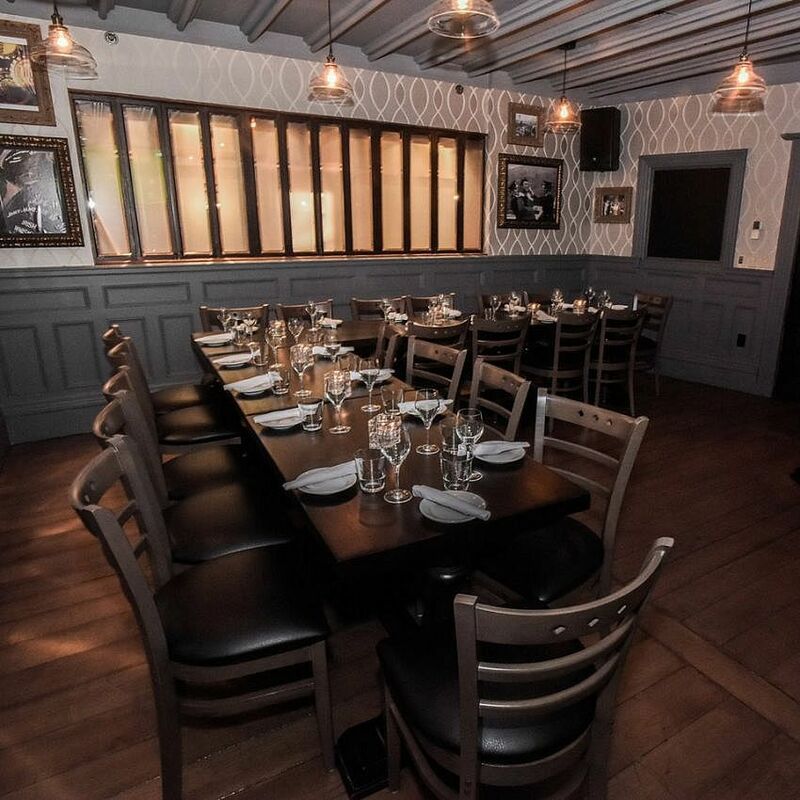 It is a is a great place for a casual and fun occasion and for those who want a private VIP event. The Victorian bar in the middle of the pub is a classic example of bars from that period. The Victorian pub was born of meticulous and painstaking attention to ornate decorative detail. 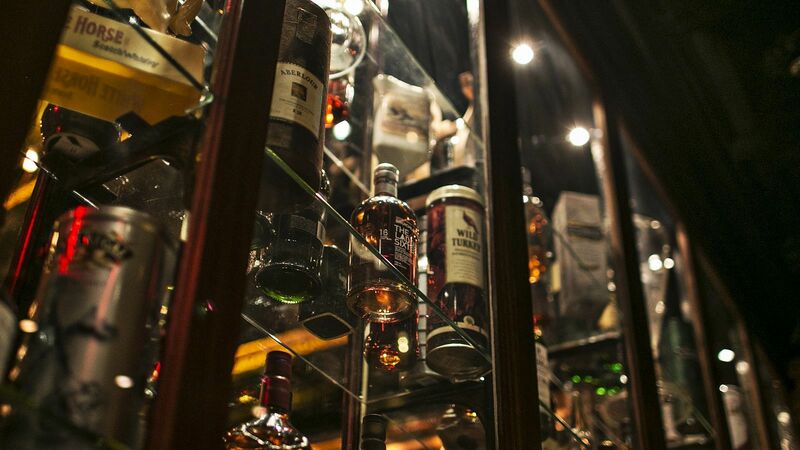 This style, common to Dublin, harks back to the days when it was as vital to please the eye as the palate. 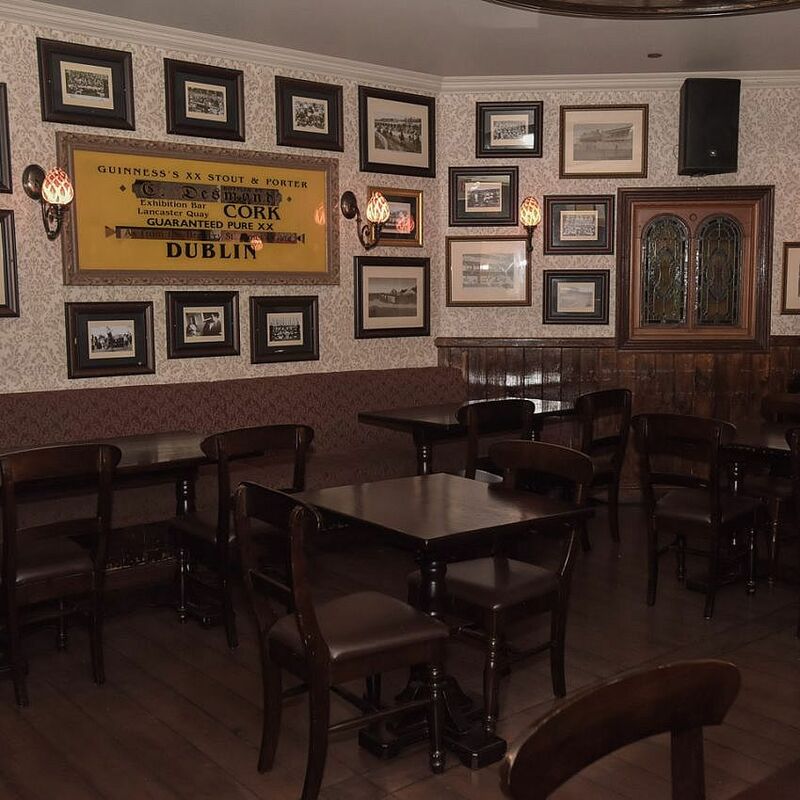 The etched glass and gilded mirrors, elaborate plaster mouldings, floor tiles and paneling were salvaged from the Henry Grattan pub in Dublin. This room includes a large drop down screen, multiple TV’s, a performance stage, sound and light system for live music. 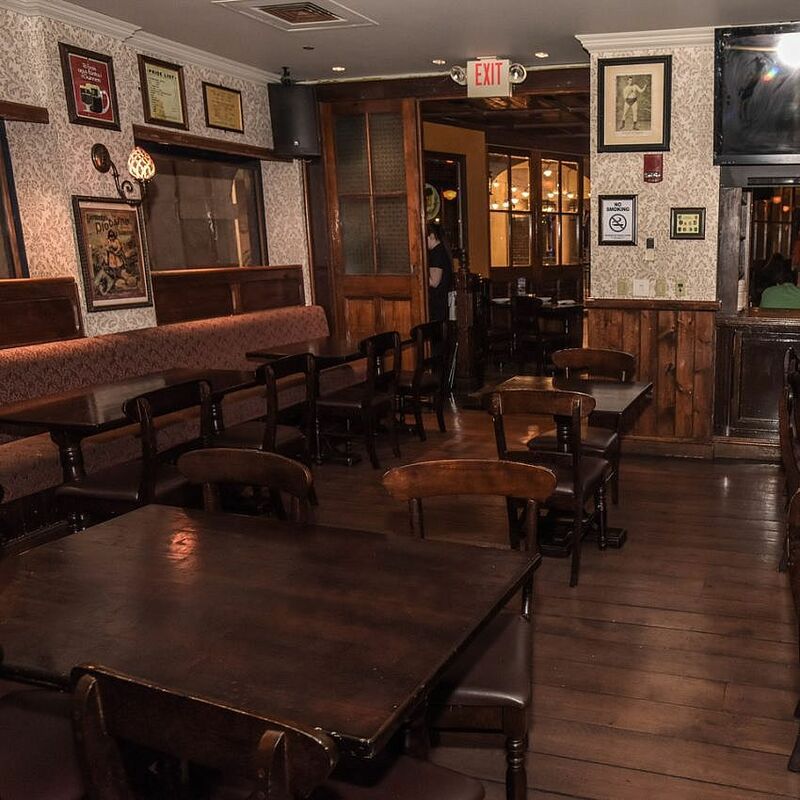 It is the perfect gathering spot for late night or a major sport event. This room is a perfect spaces for all occasions – lunch, dinner or a private party and are perfect spots for a quiet meal or special occasion. 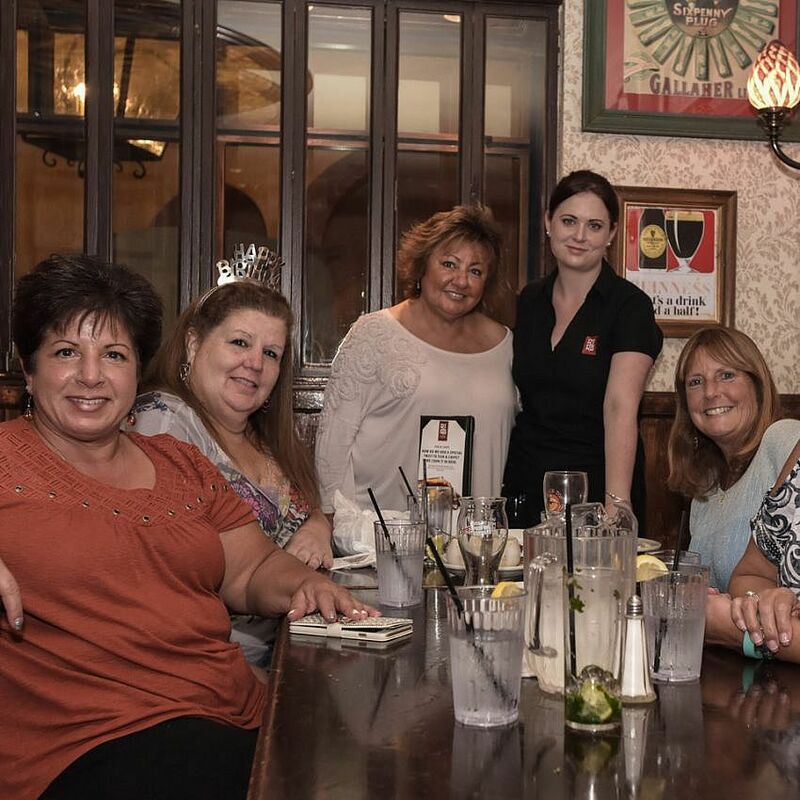 The low ceilings and padded bench seating, together with our warm welcoming staff creates a home away from home environment to escape the hustle and bustle of Church Street. This area includes large TV screens for small groups to gather in comfort to watch a game or to stage an event. Here at Rí Rá, we love to bring our sense of family to the community and enjoy being involved with local community groups to make our neighborhood a better place to live, work and socialize. We try to give back to the community that so graciously welcomed us to the neighborhood. We host an annual golf tournament. This year’s tournament was in aid of the American Heart Association and we also host an annual event for the Saint Baldrick’s Foundation for Childhood Cancer and have to date raised over $250,000. 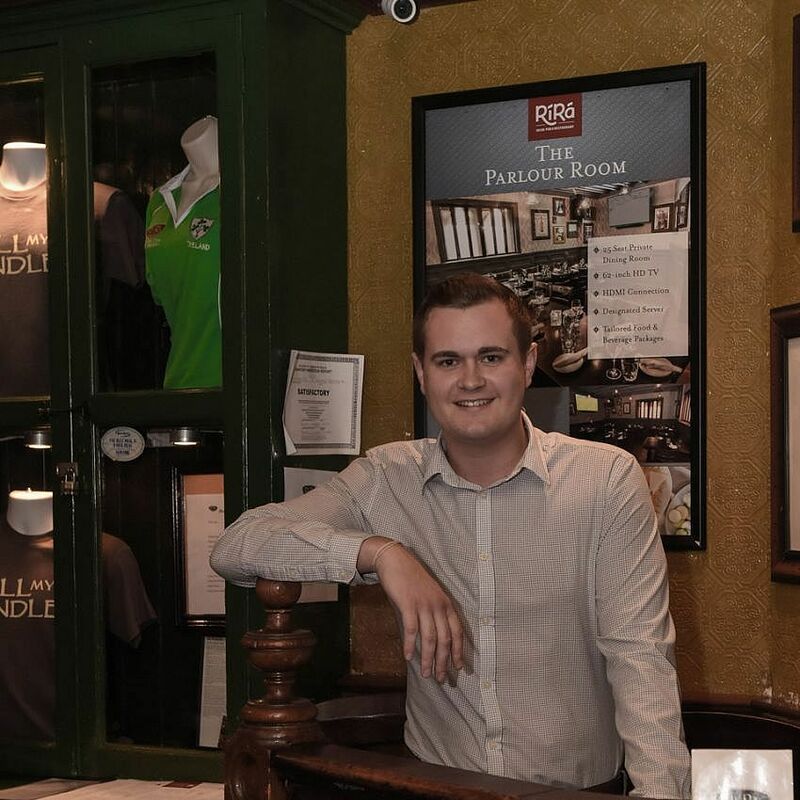 My name is James Jaye from Wexford, Ireland and I am the General Manger at Rí Rá. I have been in the U.S. for about 4 years now with Rí Rá, a place I now consider my home and the people I work with, my family. It has been an interesting few years adjusting to the difference in lifestyle from back home. People are always asking me where I am from. When I tell them I am from Wexford, more likely that not, they will say “Waterford Crystal, oh I know that place!” Nobody has ever heard of Wexford. Stop by some night for pint and a chat and I’ll be sure to recount a few tales from the lovely town of Wexford for anyone willing to listen. I grew up in northeastern Pennsylvania near the Poconos and when my family moved down to South Jersey, I followed soon after. 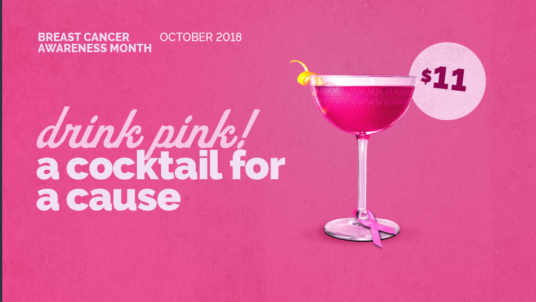 I never thought I’d work long in a casino, but when I started at Tropicana, I ended up working there for over 10 years in the Beverage department. 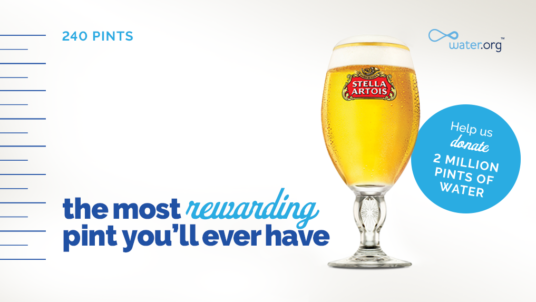 There I developed a passion for the Food & Beverage industry and made many life-long friendships. 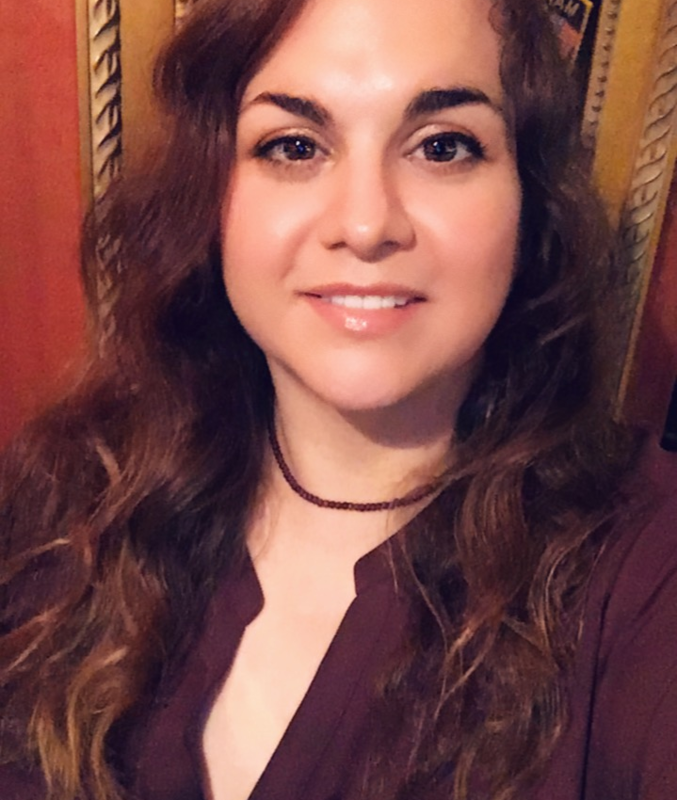 I moved on to Harrah’s Casino as a Bar Operations Manager, working with high volume venues like the Pool, then to a nightclub/sports bar inside the former Taj Mahal casino as the Beverage Manager. I took an unexpected turn into a new field when the Taj Mahal closed and became a Certified Cardiac Technician and worked in center city Philadelphia. Though it was a great career, I missed the crazy and unpredictable world of Food & Beverage and meeting and talking with new people each day. Coming to work at Rí Rá inside Tropicana was like coming home and I have found a new family with my team. I love working in Atlantic City and the diversity of people that live and visit here. I have an 8 year old son that is my world! My son, my family and friends are who I enjoy spending time with and exploring new places. Rí Rá is a busy and exciting place work. We are always on the lookout for motivated quality Managers, Bar & Wait staff, Kitchen Team and other hourly positions. 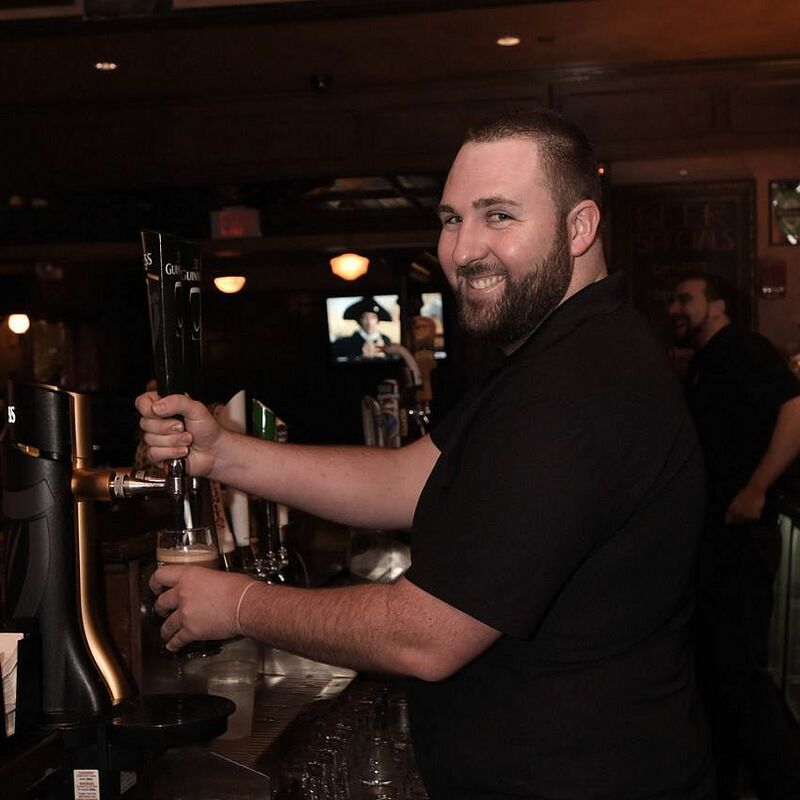 If you’re interested in working in a fun and highly rewarding atmosphere, within a great team, then email your questions and resume to careers@rira.com. 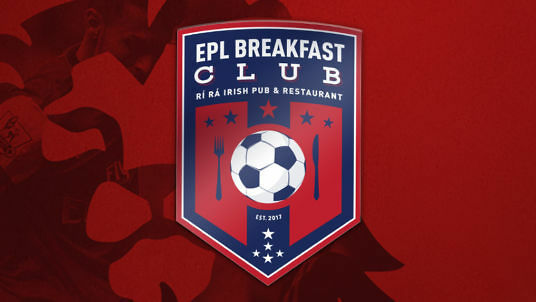 For International inquiries regarding J-1 training opportunities with Rí Rá in the USA, please send an email to careers@rira.com for more details. After a brief stint living in Colorado for a year I returned back to New Jersey where I was asked if I would like to be a Rí Rá bartender. I gladly accepted!